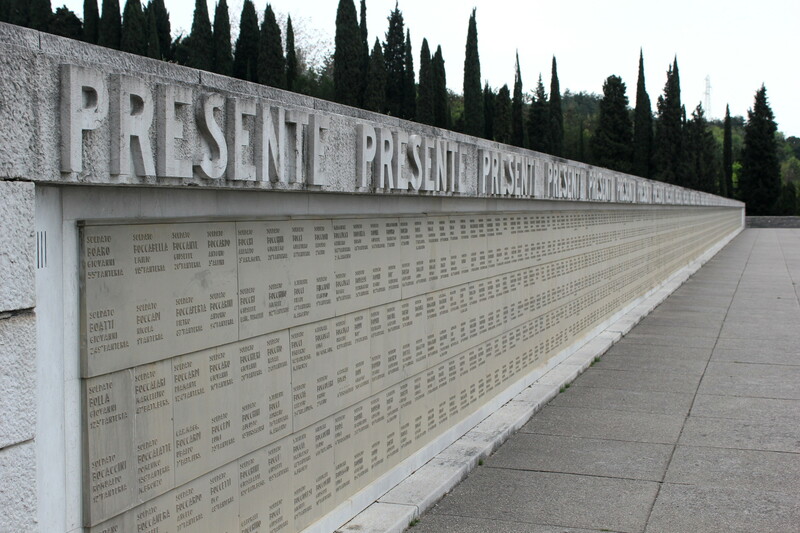 Redipuglia, placed at the bottom of the "Carso" region, was the scene of many battles during World War I and it is famous all around the world for the "Sacrario Militare", the biggest in Europe, visited, every year, by thousands of people. 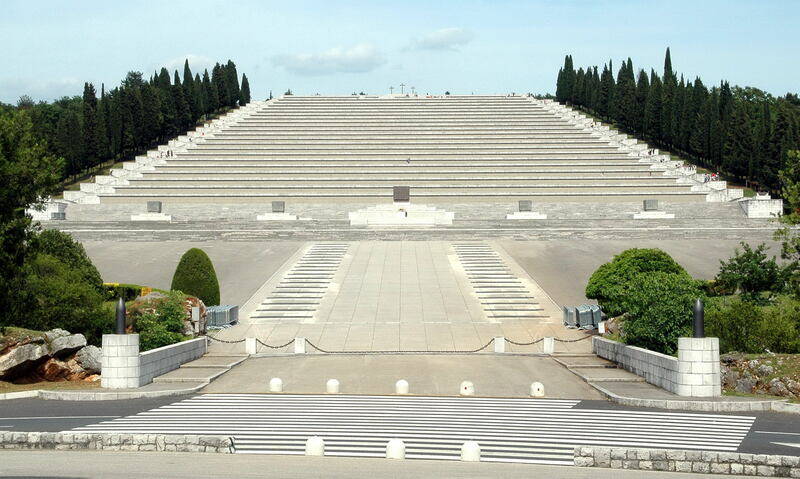 It contains the remains of hundred thousand fallen of the "III Armata". 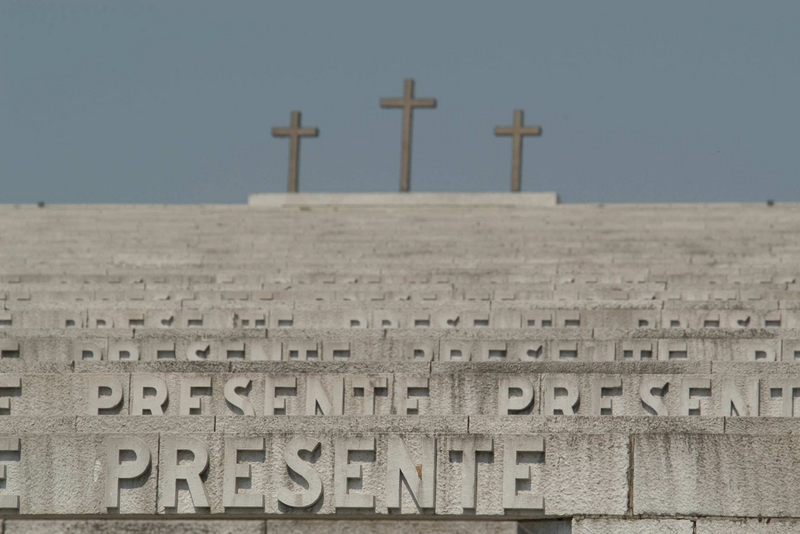 The monument rises on the inclines of the "Carso", with a great marble staircase of twentytwo steps (representing an immense line-up of soldiers), on whose top stands three luminous crosses and a chapel. Fogliano was very important in ancient times and also in the last century, when the Austrian government instituted here a school of "Panierai", which contributed to increase the local wicker's industry, already appreciated in all the European markets. Along the hills of the "Karst" are today passable the "Pathsways of Peace" (marked trails) that lead to the discovery of the trenches and battlefields of the First World War. In the village are important for their history and their architecture also Redipuglia Railway Station, Church of Santa Maria in Monte, Museum of the Great War and the Austro-Hungarian Cemetery.